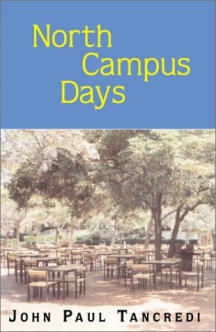 North Campus Days can be purchased by special order from all chain and neighborhood bookstores. It is included in the databases of two major book distributors: Ingram and Baker & Taylor. Softcover - ISBN# 0-7388-3406-8 Library of Congress # 00-191880 To order a copy from your favorite store on the Web, click on the links below! North Campus Days is also available from the following international online bookstores: France: Amazon.fr Germany: Amazon.de United Kingdom: Amazon.co.uk If you're interested in purchasing a signed copy of the book, please click here.